The global shipping industry is not prepared for the upcoming IMO 2020 rule despite the fact that the start date of the new global sulfur cap for marine fuel is now less than a year away. That is the assessment of Jerome Leprince-Ringuet, Managing Director of Total Marine Fuels Global Solutions (TMFGS), who says the apparent lack of urgency could stem from a lack of clarity over the availability of compliant fuel. 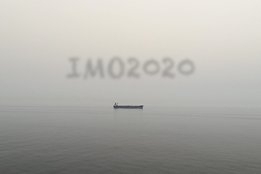 "Given how soon the IMO 2020 regulation enters into force, it is very surprising to us that we are not receiving more calls from our customers asking for more detailed information on how the global cap will impact them," Leprince-Ringuet said in a blog post following comments made to IHS Markit. "We fear that the lack of clarity around which products are coming onto market is leaving customers a little lost as to how to plan effectively." As for its own offering, TMFGS says it plans to supply Very Low Sulfur Fuel Oil (VLSFO) with a range of different qualities but all complying with ISO 8217's Marine Distillate fuel standards. So-called "premium" versions of fuels will be available for those interested in bunkers that perform beyond the ISO 8217 specification, the supplier adds. The global 0.50% sulfur cap for marine fuel comes into force on January 1, 2020 with the vast majority of the world fleet set to switch away from using HSFO bunkers to a new range of compliant low sulfur fuels. The need for multiple preparation steps for such a transition, such as tank cleaning and documentation of a vessel's compliance plan, means the transition for IMO 2020 is widely seen to have to start in earnest from mid-2019. French ferry has LNG-fuelled newbuild coming into service this year. But analysts warn it'll take substantially more to break WTI's $65 ceiling.